The Heartbeat of Victory National Television Episodes. In this Episode, Drs. George & Hazel talk about how to find your destiny. As well, Dr. George preaches pt.1 of a message entitled 'From Victory to Victory'. Then the Hills answer a question from a viewer on the most effective way to do world missions. 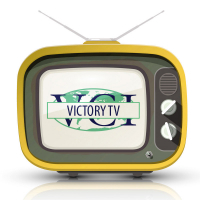 This program is wrapped up with a Victory World Missions video from Rwanda, Africa. In this episode, Drs. George & Hazel answer a question about what to do to see church growth. Dr. George preaches pt.2 of 'From Victory to Victory'. Following that, the Hills discuss Victory World Missions and Micro-loans. In this episode, Drs. George & Hazel discuss how we can evaluate our spiritual growth. Dr. George preaches pt.3 of 'From Victory to Victory'. The Hills talk about their recent trip to Pakistan, followed by a short video from Pakistan. In this episode, Drs. George and Hazel discuss the problem of depression, and what we can do to overcome it. Dr. Hazel preaches pt.1 of a message entitled 'Activate Your Faith, Dream, Live The Dream and Dream Again'. The Hills discuss the effectiveness of Micro-Loans. This program is wrapped up with a video from Rwanda also on the topic of Micro-Loans. In this episode, Drs. George and Hazel answer the question of how we can know that the Bible is indeed the Word of God. Dr. Hazel preaches pt.2 of the message entitled 'Activate Your Faith, Dream, Live The Dream and Dream Again'. Do you want to sponsor a child overseas? In the closing segment, the Hills talk about sponsorship and how you can get involved. In this episode, Drs. George & Hazel discuss the question of whether your conscience is a good guide. Dr. Hazel preaches pt.3 of the message 'Activate Your Faith, Dream, Live The Dream and Dream Again'. This program is wrapped up with a discussion on how Seniors can get involved with Victory on the mission field. In this episode, Drs. George & Hazel discuss the importance of visions and dreams. Dr. George then begins a message entitled "Activate Your Faith, Live Your Dream". And to close, the Hills discuss Victory World Missions with a video clip insert from Myanmar. In this episode, Drs. George & Hazel discuss when we receive a vision or dream from God, whether it has to be fulfilled in our lifetime. Then we go overseas to the Roman Coliseum with Dr. Hazel. From there, watch part2 of Dr. George's message entitled "Activate Your Faith, Live Your Dream". The Hills discuss Victory world missions and the program is brought to a close with a short video from a recent Mexico missions trip. In this episode, Drs. George & Hazel discuss the question "I have had a number of dreams and visions that have fallen apart. Where did I miss it, and how can I ever dream, live the dream and dream again?" Next we travel to St. Mark's Square with Dr. George. Watch part3 of Dr. George Hills message entitled "Active Your Faith, Live Your Dream". The Hills discuss Victory world missions and the program closes with a short video from Haiti taken after the last terrible earthquake. In this episode, Drs. George & Hazel Hill discuss the question "How can I know if my dream is from God?" Dr. George preaches part 4 of the message entitled "Activate Your Faith, Live The Dream". Next the Hills talk about Rwanda in the Victory World Missions segment and the program comes to a close with a short video from Rwanda with Bishop Jude and the children.